Jeffco Java Portable Styling Station, pictured w/ J05 Java Mirror & Ledge. Features a full-extension drawer, storage cabinet w/ adjustable shelf, locking casters, convenient angled tool panel w/ holders for blow dryer, two curling irons. Electric by customer. 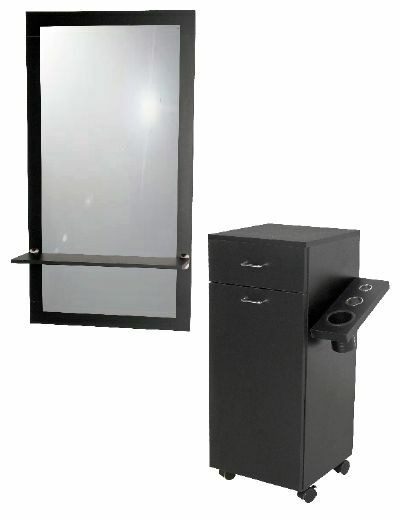 Pictured with J05 Java Wall-Mounted Mirror Assembly, ordered separately.